The holidays are nearly upon us and couples everywhere are sure to take advantage of the magic of the season by getting engaged. So ,with all these upcoming engagements, sooner or later you're going to be invited to your first engagement party and, like us, will have no idea what to get the happy couple! The bridal shower covers the couple's domestic needs and the wedding gives them some cash to build their life on, but what does an engagement gift mean? Well, for starters, it's not meant to break the bank. As we've already discussed, you have plenty of gift giving opportunities coming up, so let's keep the present giving at a reasonable level. Next, think of things the couple may want or need in their wedding planning. Finally, have a little fun with it. Take the couple out on a wild night out, give them monogrammed towels, treat them to a spa day -- your gift doesn't have to fit in a box! Here are some engagement gift ideas that we think you'll find helpful. We're not going to lie, we got this idea from the movie 21 Dresses. A membership to the International Wine of the Month Club is a great gift for the happy couple to unwind with. 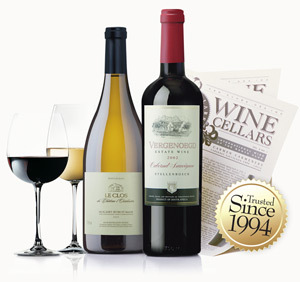 You can specialize your gift package based upon type of wine and duration of the gift. 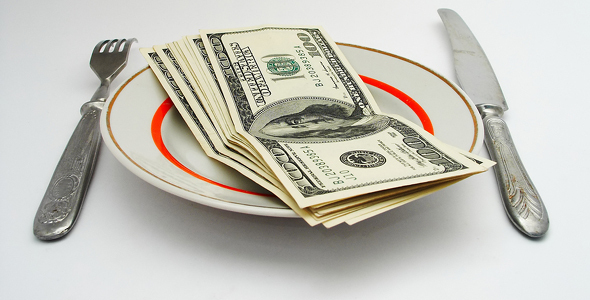 This gift may be a little pricier, but definitely a great gift for the right couple. This gift is a little more practical and affordable, and perfect for the busy bride. 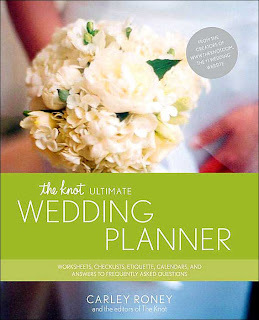 A wedding planner, such as the one pictured above from The Knot, will help the happy couple in planning their pending nuptials. 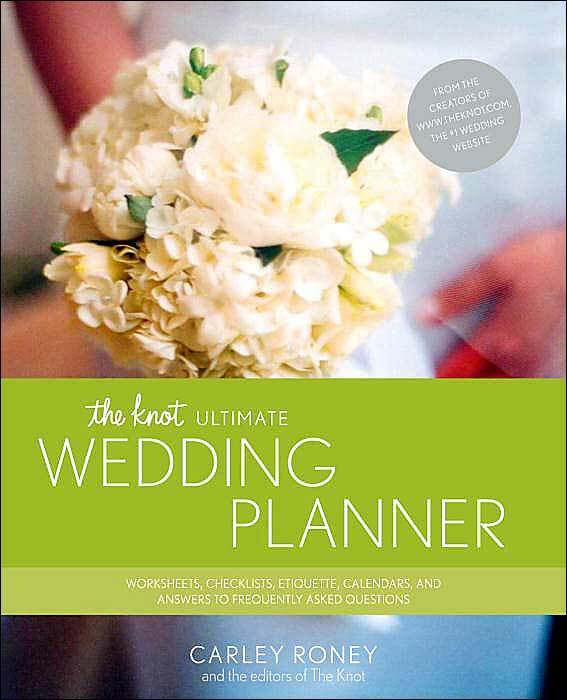 The Knot Ultimate Wedding Planner comes with worksheets and check lists, as well as money saving tips and a FAQ section. 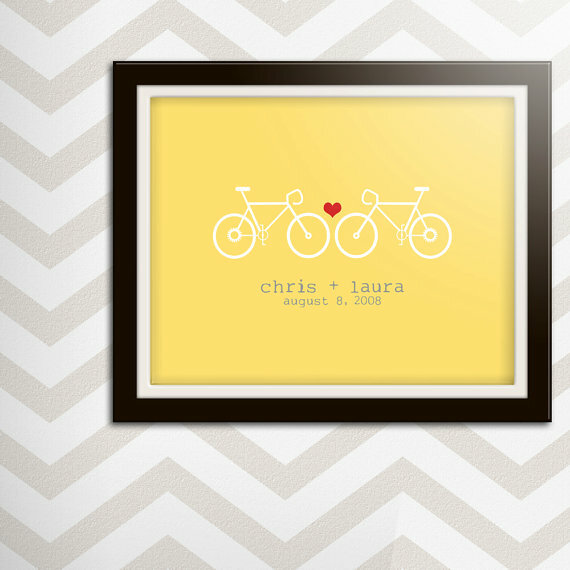 Get some wedding art to commemorate the big day. 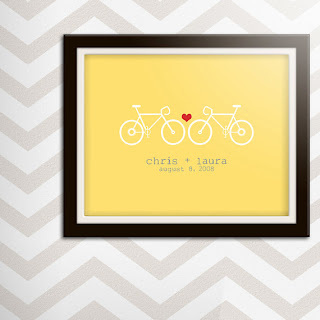 Something simple like this customized print from lollieland would be a nice gift for any couple. Personalize it with the couple's wedding date and colors (if known) and you have an intimate and affordable present to celebrate the couple's big day. A restaurant gift certificate is a great idea when you're looking for a last minute gift or are unsure of what to get someone. Everyone loves going out to eat, and for some reason a restaurant gift certificate feels a bit more intimate than a regular gift certificate. Just pick a nice place that the couple either frequents or would like to try, and make the budget large enough to include drinks, appetizers, coffee and dessert as well as dinner. 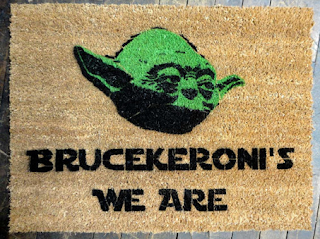 We love this personalized doormat by damngooddoormats. It's a great gift for your nerdy friends, and will make a nice addition to their home. Just double check that the bride intends on changing her name, otherwise it can result in an awkward conversation! One of our favorite gift ideas is purchasing a fully stocked picnic basket. Bed Bath and Beyond has a bunch of different styles for different prices. Most baskets come loaded with plates, napkins, glasses, and cutlery, but there's always room to throw in a bottle of wine, some jams and spreads, and chocolate to give the gift a more personalized touch. Or, chip in with some friends and get them an "Experience Day". There are a variety of adventures and lessons to choose from, such as a Philly Food Cart Crawl, Dolphin Watching, or even a lesson in Ballroom Dancing to get them prepared for their first dance as husband and wife! Whichever you choose, it's sure to be a fun time. Thanks for this blog.Great information provided. engagement gift ideas uk I really appreciate your writing. I like the way you put across your ideas. Awesome, keep it up. When I got married I got a bunch of stuff I didn't register for that I didn't really want. I also got a bunch of stuff that I registered for that I later found out I didn't really need.